Alzheimer’s disease, the most common form of dementia, is a serious brain disorder that currently affects more than 15 million Americans. Symptoms of Alzheimer’s usually develop slowly and gradually worsen over time. Chemical and structural changes in the brain slowly destroy the patient’s ability to create, remember, reason, learn, and relate to others. Although caring for an Alzheimer’s patient at home is challenging, it can be made easier by utilizing ClearCare’s home care software and home care system. Capable caregivers that use ClearCare’s reliable home care system have a distinct advantage when it comes to managing Alzheimer’s behaviors. ClearCare’s home care software is an excellent resource for Alzheimer’s care and for learning how to make the home more Alzheimer’s-friendly. Here are five practical ways homes can be customized for Alzheimer’s home care. 1. Reduce frustrations by limiting choices. 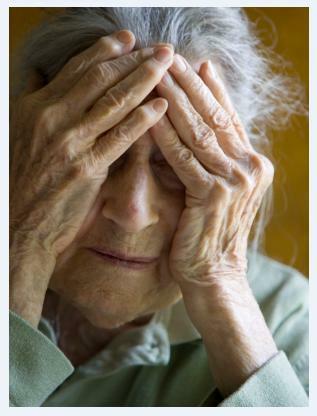 A person with Alzheimer’s reacts with aggression or frustration when simple tasks become difficult. Reduce these instances by offering fewer choices. This applies to the wardrobe, refrigerator, cabinets – anywhere the senior might need to make a decision. 2. Keep décor and lighting simple. Overstimulation is a trigger for aggressive behavior. Bright, artificial lights or complicated wallpaper can confuse or irritate the patient. Keeping the home uncluttered and organized is also important in order to create a comfortable and safe environment. 3. Install handrails in the bathroom. Non-skid decals on the tub’s bottom may also be helpful, as well as non-slip rugs. Caregivers that use ClearCare’s homecare software can easily look up other helpful hints for bathroom safety. 4. Restrict access to “danger zones.” Install gates or locks on doors that lead to basements, garages, or patios. Areas that may contain hazardous items or have potential for injury should be kept off-limits. 5. Make the bedroom safe. Lower the bed height by removing box springs to reduce the risk of falling – especially for patients who tend to wander. Keep a flashlight on the nightstand, or use several nightlights. It’s also recommended to place a cane or walker by the bed if the patient is unbalanced when rising. ClearCare’s home care system and home care software are invaluable tools when it comes to Alzheimer’s care. Caregivers will receive reminders through their home care software for administering medication and preparing meals. A dependable home care system is essential for monitoring Alzheimer’s patients as their disease progresses – as well as keeping family members and physicians well informed. Ask a ClearCare representative today what other ways a home care system could benefit your family.